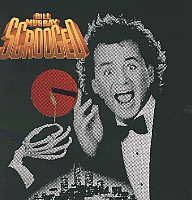 Danny Elfman's wonderful soundtrack to Richard Donner's 1988 comedy/horror film Scrooged (a remake of the 1935 film Scrooge) was released by A&M the same year. 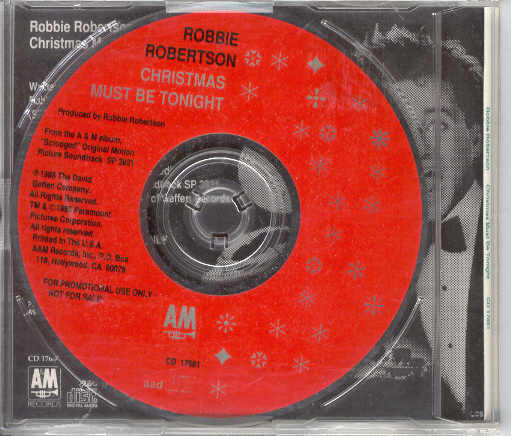 Robbie Robertson does a version of the Band song "Christmas Must Be Tonight", also released as a promotional single. The recording popped up few years later on the various artists album Winter, Fire, and Snow. Compact Disc: A&M CDA 3921, 1988.